Wow, Blenheim Ginger Ale Fans! That’s all we can say about the tremendous response we have been getting to last months online store opening. Thank you so much for all the messages and orders. We made the hdmi extenders store available around 3:00am Eastern Time and by 6:00am we had our first order. A night owl from California grabbed up the first factory direct shipment of spicy Blenheim Ginger Ale bottles. From then on, the orders for Old #3 Hot, #5 Not as Hot and #9 Diet have been coming in steady and strong. A test email newsletter went out to 10% of our email subscribers. About 60% of you opened and read our letter, over 3 times the national average. To read more about the online store, be sure to check out last month’s blog for the full story. And please realize we are a small boutique family run ginger ale company. 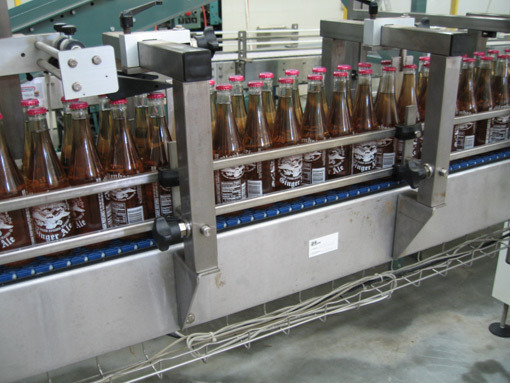 We don’t crank out thousands of bottles every day, but rest assured you get the best quality ginger ale on the market. Besides, if you want it quick but bland you wouldn’t be looking for Blenheim Ginger Ale anyway right? We always love to hear feedback from our fans and customers. It doesn’t matter if it’s just a quick hello, a new recipe idea or long love letter about your passion for Blenheim. We welcome them all. One of our biggest requests has been for more products featuring the Blenheim Ginger Ale name and logo. We have a few things in the works and hope to announce them very soon. Make sure you stay turned to the blog through our RSS feed, follow us on Twitter and join our Facebook page for all the latest developments on Good Ole Blenheim Ginger Ale. This entry was posted on Saturday, December 18th, 2010 at 6:59 pm	and is filed under Fan Appreciation, News & Press. You can follow any responses to this entry through the RSS 2.0 feed. You can leave a response, or trackback from your own site. It’s nice to have three different choices. Since I’m from Texas, I do love the “red cap,” but it’s all great. Just don’t inhale when you’re having the “Hot No. 3.” Give it a try, you won’t be disappointed. Just wish it was available at some store in the Dallas area. it must’ve been about 8 years ago now when I stumbled upon my one and only bottle of Blenheims Hot No. 3. I was visiting some friends up around Plumtree, N.C. and stopped in a country store (don’t remember the name). there was an upright cooler near the front door that had ice cold bottles of Blenheims. I’d never even heard of this brand of ginger ale before but i liked spicy so i figured i’d give it a whirl. i sat out in the parking lot on a picnic bench and sipped the strange brew until my brow started to bead up with sweat. it was amazing! i forgot to write down the name of the ginger ale and have spent the last 8 years trying to find a ginger ale with as much kick as this one delivered. there is none to be found. now i’ve got the name again, just need to find a bottle. Hey is the diet the same as the not so hot? And do you plan on two diets to match the two hot levels ? Yes Doug, the Diet is the same heat level as the Not So Hot, but we don’t have any plan to make a hotter version right now, but who knows what the future might hold?? Nolan.. you are correct about comparison. No other brand should have the right to be called “GINGER ALE”..There outta be a law! Love, Love, Love this ginger ale. I am waiting for you to come out with the diet hot!!! I love the really spicy but not all the sugar, carbs and calories!! The current diet is such a treat, but really would like that extra kick! !